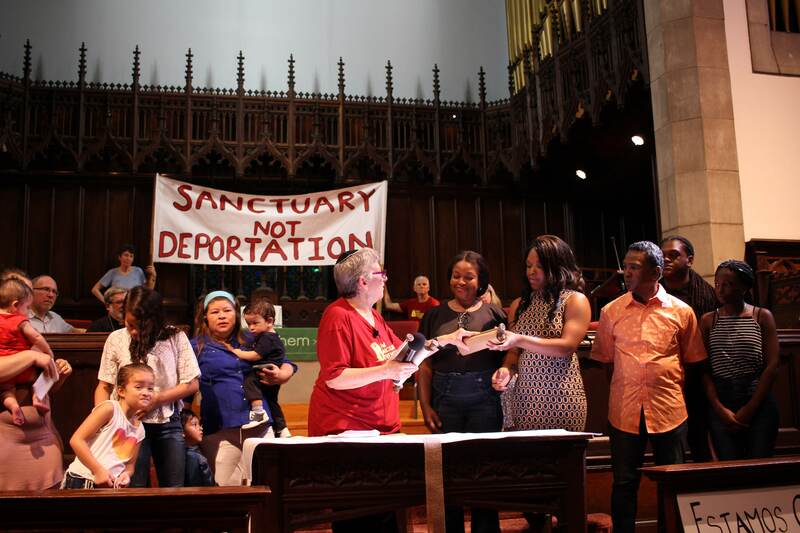 NSM organizer Nicole, Angela’s mother Maria, Angela’s husband Manrique, and West Kensington Ministry pastor Reverend Adan went to Washington DC to win support for Angela’s Sanctuary campaign. After meeting with Congressman Bob Brady, who represents Philadelphia in the U.S. Congress, he pledged his support! A few days later, we got an official letter signed by the Congressman supporting Angela!